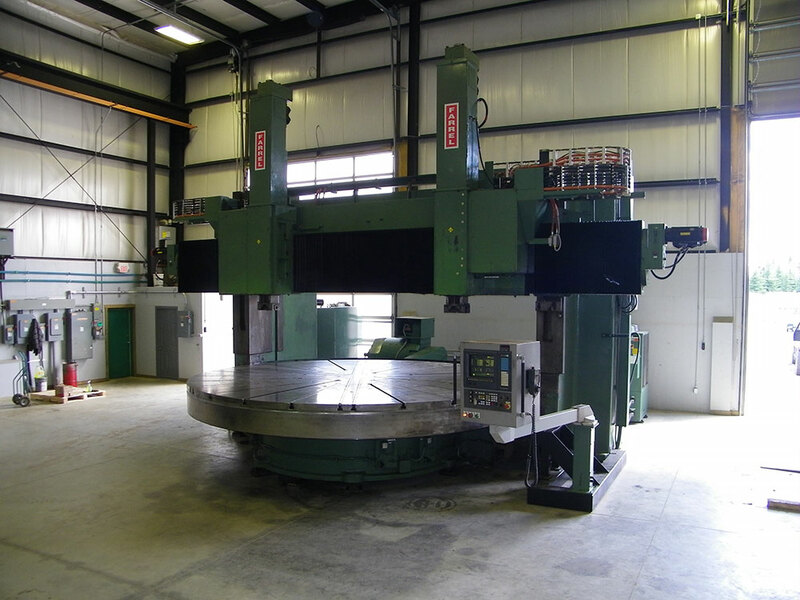 K&W Machine commissions a massive CNC lathe with the latest technology and capacity unmatched anywhere in Canada. Established in 1977, our management team has over 50 years of experience in the machine shop business. We are a family owned and operated company with a long history of product quality and customer satisfaction. 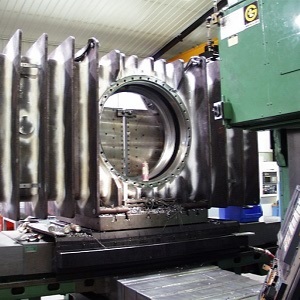 Our experience from small complex components to large heavy parts with a variety of exotic metals has aided us in acquiring our vast knowledge of machining. We have two facilities located on our 3.5 acre lot in Blackfalds, Alberta. The combined floor space of 20,000 sq. ft. allows us a lot of room for large parts to be worked on. To move around the large parts we have both a 10 ton and 35 ton overhead cranes. 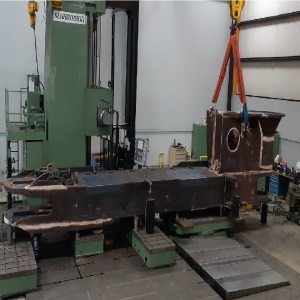 For machining the large parts we have a CNC 6-Axis Horizontal floor borer with a machining envelope of 30' x 15' x 15' with next to no weight limit. 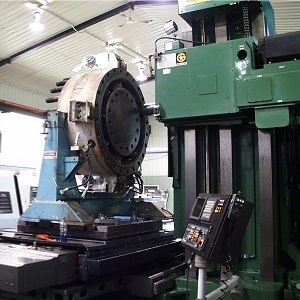 This machine has gone through an extensive rebuild in 2012 and has been outfitted with the latest CNC controls available. Our table type CNC boring mill is also 6-Axis. It has a 25,000lb table capacity with full 360,000 position indexing. A complete rebuild of this machine was completed in 2004. 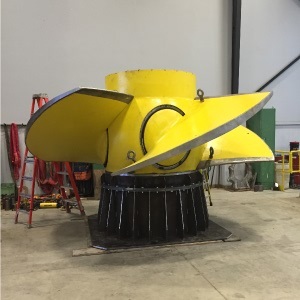 We have turning capacity up to 16' in diameter. 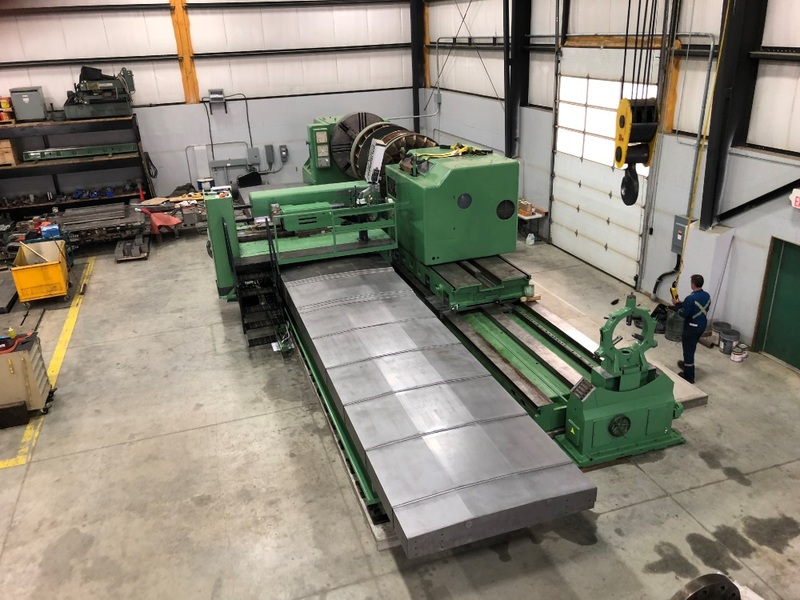 Our horizontal CNC lathe has 12' x 40' capacity. In our office our staff has 3D CAD drafting which we also use in our CNC cam program to export programs to our CNC machines. Along with this technology our mechanical engineer technologist aids our customers in problem solving any product they may have, as well as reverse engineering products and prototyping new ones. In our welding area we do spray welding as well as SMAW and GMAW. 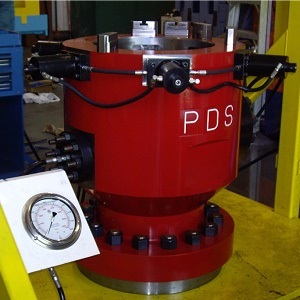 We also do stress relieving of welded parts on site. Experience and equipment has allowed K&W Machine to be central Alberta's premier heavy industrial machine shop. Management with over 50 years of machining experience. Our 20,000 sq. ft. manufacturing facility is located on 3.5 acres. K&W Machine is equipped with craneage to handle your biggest projects. 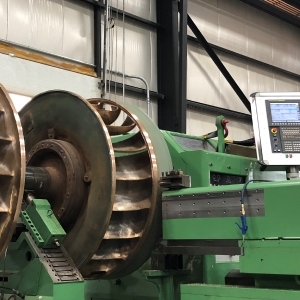 Our 6" boring mill features a rotary table capacity of 25,000 lbs. and 40 tool automatic tool changer. 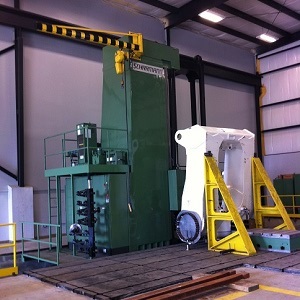 This lathe has a 12' Swing and 40' between centers with a 160 ton Capacity. Our conventional lathes have up to 40" Swing by 15' between centers. K&W Machine's surface grinder can handle dimensions up to 16" x 40". Our professional staff performs 3D Drafting and Virtual Gibbs system CNC programming. SMAW and GMAW welding is performed on site, as well as stress relieving. 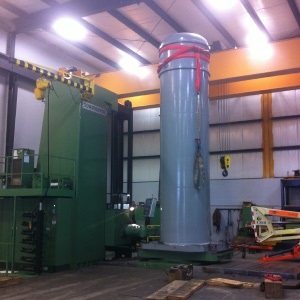 K&W's 60 Ton Press allows us to handle the biggest jobs. 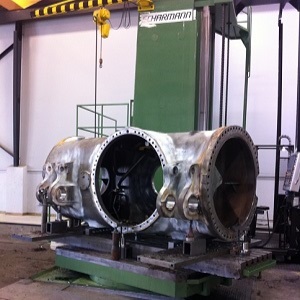 K&W Machine is very experienced in retrofitting existing machining equipment with the latest in CNC technology. 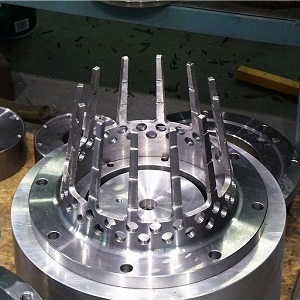 Our staff will work with you on your project and through our experience and expertise can guide you from the designing and building the first prototype through to full mass production. Our experience and talent allows us to take existing products, reverse engineer and improve designs. 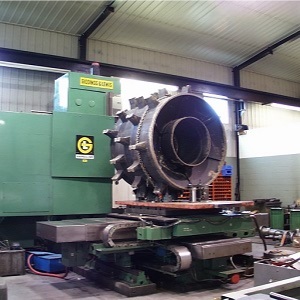 K&W Machine quality machines for sale At K&W Machine we take pride in the machines we offer for sale. Our years of experience allows us to provide you with quality machinery updated with the latest in technology, as well as high quality used equipment.